Item #43538 : Original era manufacture. 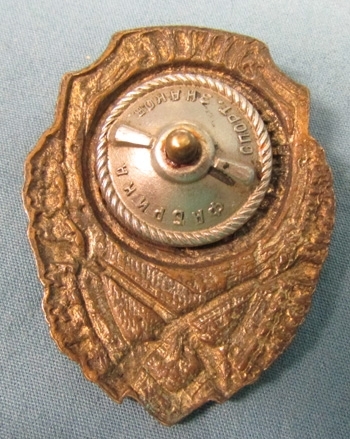 Nice quality stamped brass badge with an enameled obverse. 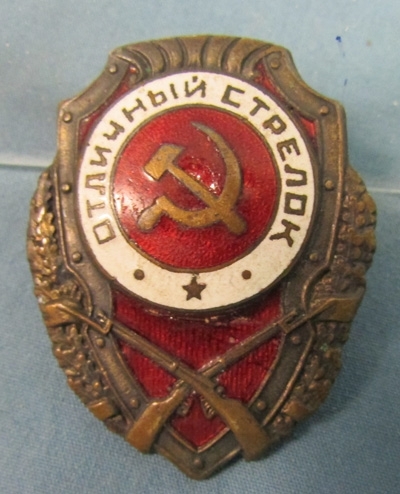 This badge was one of a series of similar badges, created to recognize proficiency in the various arms and departments of the Red Army.Small repair to the red enameled center near the hammer and sickle, complete with an alloy backing plate.